Like a raggedy, overthrown tyrant, in handcuffs rambling on and on about the changing conditions of his former dictatorship, Texas Democrats are finding themselves crying over a Texas revolution that cannot be stopped. A newly formed Republican Hispanic Caucus shows how far Texas has come in making sure we do not follow in the footsteps of California. There in the Golden State, the state party GOP has been declared dead, and large voting blocs have continued their patterns set in stone by generational stereotypes and myths. 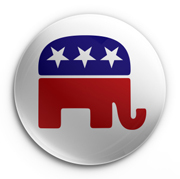 In Texas, grassroots efforts have emerged from within the Republican Party structure. Concerned Texas citizens, Republicans, have risen to place the Republican message in the Latino context, communicating and building the networks that will continue to pay off in the future. Texas Democrats can cry all they want, and claim they and only they can understand the interests of the Latino community, but the truth is, they have been replaced by the real giver of power and freedom, the Texas free market. The Texas free market has shown itself as the real place where one obtains what one seeks, and government should reinforce the free market. You cannot build your entire political machine on the notion that all is divided up in life by race, color and class and expect to survive. Texans from all backgrounds exchange services and products, and with a strong Texas economy standing strong during America’s least performing times, Texans of Latino descent have been introduced to a clear, bold conservative, pro free market message. The reception has been amazing with the switch of Rep. Aaron Pena, and the addition of 6 new Republican Hispanic legislators. The Democrats are in serious trouble in Texas because the truth is, Republicans actually do know exactly what the interests of the Latino community are, and they are as follows: they are the same as any other Texan!